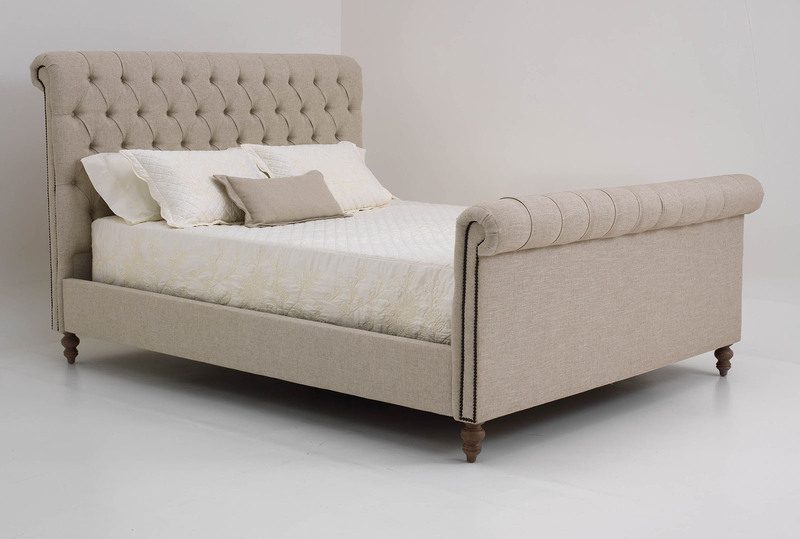 Chesterfield meets Bed with this timeless style. The Kingdom bed will make you feel like a King, deep Diamond button tufts give great head support and decorative nailheads along each side of the headboard and footboard add an air of elegance. Choose from a variety of nailheads and fabrics, a great addition to anyone’s kingdom or Queendom.